Those who tune into Amazon’s new series “Tom Clancy’s Jack Ryan” are in for a big surprise, in more ways than one. First, its vision of international espionage proves that thrilling action storytelling doesn’t require gun lust, motorcycle chases, or brashness with death to hold a tight grip. Even more, the series is packaged like the sharper version of a Paul Haggis movie, illustrating the various sides to its conflict, reckoning that terrorism is a tragedy more complicated than one-dimensional villainy. 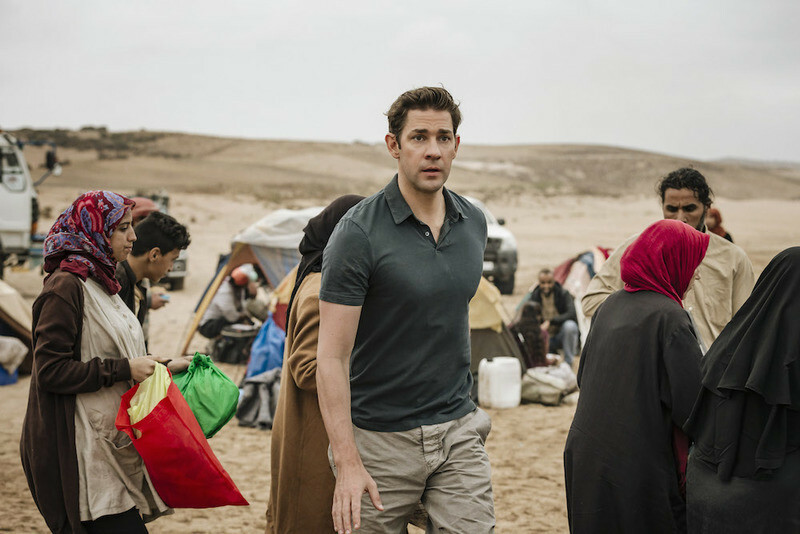 Expertly plotted by creators Carlton Cuse and Graham Roland, “Tom Clancy’s Jack Ryan” is all the more impactful for its restraint and scope, offering excellent character-based drama that’s concerned with much more than just its namesake. The poster boy for this exciting, sensitive take to worldly anxieties is John Krasinski, who continues to ascend as our current contemplating everyman, coming off the artistic rejuvenation of nervously glancing and not speaking in “A Quiet Place.” His take on Jack Ryan, very much his own after the character has been played by Alec Baldwin, Harrison Ford, Ben Affleck and Chris Pine, is a financial analyst with a military past, but a nervous rookie when it comes to preventing global terrorism. In the six episodes offered to critics (of the eight total available on Friday), I hardly saw him fire a gun, but I watched him do a whole lot of thinking. In a thrilling opening episode directed by Morten Tyldum ("The Intimidation Game"), Ryan is thrown into the mix when he starts tracking multimillion dollar payments abroad made to a suspicious account. Suddenly, the man with a doctorate in economics is now in Yemen to help interrogate a suspect named Suleiman, about money that could have leads to the next Bin Laden (“9/11” and “Bin Laden” are admittedly referenced with such weight in these moments that the button-pushing just becomes goofy.) Nevertheless, this pilot is a great display of how Krasinski can involve us in his characters’ quiet calculation of the information around him, but also in his anxiousness concerning the unpredictable. The series in turn doesn’t try to tell us that he’s not scared when dodging gunfire during the pilot’s explosive climax, or uncomfortable when negotiating with shady characters. It all does wonders for slowly, believably pushing his reinvented character out of the office, with Jack feeling as vulnerable as the story itself feels alive. It’s a steady build for this character, but for like much of this compulsively watchable series, proves to be incredibly rewarding. The closest that “Tom Clancy’s Jack Ryan” has to a “classic” macho hero is in Wendell Pierce’s James Greer, Ryan’s no-BS boss. And even then, he’s not a typical construct: Greer's a former key player in the CIA who was damned to a desk after an incident he won’t talk about, and he’s a Muslim. Leading with cutting wisdom and unblinking certainty, Pierce makes for a sturdy opposite to Ryan and a good companion; it’s very funny, too when Pierce rips on Ryan’s brainy aspect, irritatingly calling the titular hero “Peabody.” Together, the two are a formidable home base for the story’s American side. But the world is far bigger than its titular hero, the series reckons. In one of its most honorable narrative ambitions, “Tom Clancy’s Jack Ryan” takes a considerable amount of screen-time to explore how two brothers were radicalized, after surviving a bombing in Lebanon in the 1980s, and later facing racism in France. 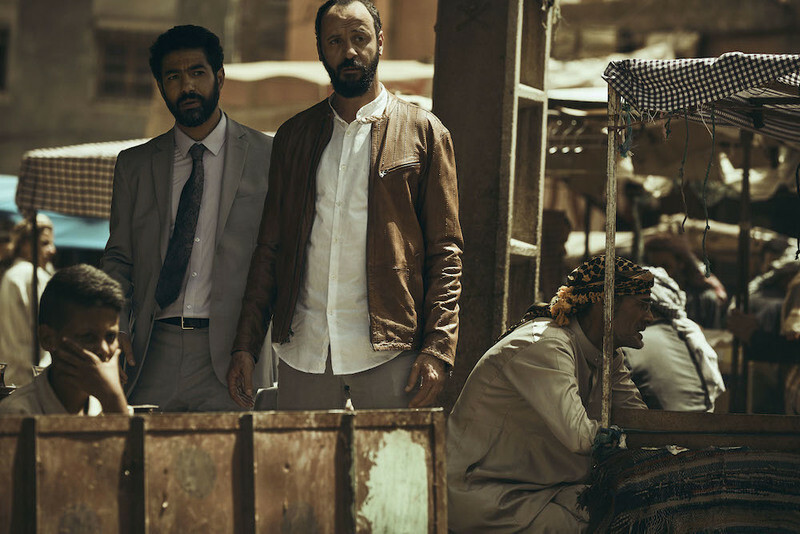 The now-middle-aged Suleiman (Ali Suliman) and Ali (Haaz Sleiman) are even introduced to us before we even see Jack Ryan in that first episode, and bookend the pilot with a delicate embrace after the Yemen battle. Beats like these are emotional and not menacing, and the emphasis on family is all the more immediate when the present day plot involves Suleiman’s wife Hanin (Dina Shihabi) trying to distance her children from Suleiman’s secret life. These parts of the story are emboldened by uniformly strong performances, and heartfelt character building that examines how both sides of good and evil think they are doing the right thing. It enables "Tom Clancy's Jack Ryan" to factor in various, difficult subjects like the state of Syria, the refugee crisis, cultural identity and more, without the exploitative nature of so many previous action stories that just want to look worldly. With a “cool kill” nowhere in sight, this action enterprise does not remove its various chess pieces lightly; there are consequences, and the act of killing is often accompanied with sadness, if not desperation. A third arc brings this home, involving a young American drone pilot living in Las Vegas, played with incredible focus by John Magaro (“The Big Short”). Perhaps by no coincidence, he’s got a bit of “Krasinski Face” when dealing with the horror of his desk job, making for a haunting motif: these men are not emboldened by killing for justice, but hollowed out by it. In an excellent third episode directed by Patricia Riggen ("The 33"), we get a long look at the messiness of being an eye in the sky, and it has the face of a bruised pilot who begins to recognize the lives on the other side of the control panel. “Tom Clancy’s Jack Ryan” looks forward in a lot of aspects when it comes to the critical and entertainment purposes of a modern action story, particularly when handling post-9/11 politics. Which makes it all the more clear one improvement that can be made when “Tom Clancy’s Jack Ryan” returns for its second season—namely, Cuse & Roland put too much effort into making Jack smart. For a show that gets its highs from sharp storytelling and showing its characters' imperfections, it becomes tiresome to see them bend over backwards to present “self-righteous Boy Scout” Jack as the one who always has the right answer, whether he's challenging his superiors or enemies. Given that the show bears his name, we already know that he’s the capital-E Exception of a White American savior, that he’ll have impeccable timing when it comes to being at wrong place at the right time. But sometimes Jack’s luck is just too dumb. Yet as a fan of the Jack Ryan movies ever since I was a pre-teen who pretended to understand all of their geopolitics, “Tom Clancy’s Jack Ryan” took me back to the battle of wits on the submarine of “The Hunt for the Red October,” or to the tense diplomatic stakes of “Clear and Present Danger.” This is the type of action series that invests a great deal of time in characters not directly related to Jack and trusts its audience; it’s not even concerned with laying clear the terrorists’ plot or clear motivations, it just tells us that they're up to something terrible. Instead, the show embeds you on both sides, which makes it all the more intense whenever they clash. A high-stakes chat-room interaction is one of the series’ best scenes, and it comes from another thoughtful, taut episode by Riggen. In a way, the ambition of “Tom Clancy’s Jack Ryan” reminds you of the clear divisiveness in our own homeland, and the ways to fight it: we need heroes who lead with intelligence, compassion, and maturity. People who understand good and evil is not just a simple decision of right and wrong. That we’re getting all of this food-for-thought within a blockbuster streaming event is all the more exhilarating, and I can’t wait to see more. Welcome back, Jack.